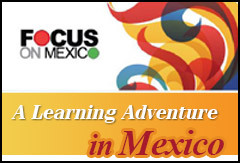 Listen to what some of our participants have to say about the 8 day educational program through Focus on Mexico. Lake Chapala has 2nd best climate in the world and enjoys a lower cost of living. This video gives you a virtual look inside Lake Chapala, the second best thing to coming on your own. Karen McConnaughey talks about the activities available year round in Lake Chapala, Mexico, and you will be amazed at the variety of things to do. There is no reason for anyone to ever get bored. Youll need a calendar to keep track of everything! Tere Ruiz: Tere created a wonderful poem and intensely personal and emotional experience. 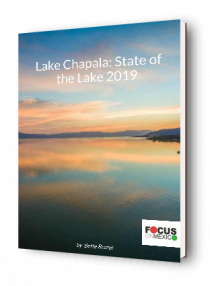 “…Bonding with the Lake” speaks to you about a breathtaking trip to the magic of Lake Chapala; a beautiful ripple in the lake of our dreams that will take you in a peaceful and spiritual journey. This video was made after the Feb 6-13, 2010 Focus on Mexico program. Mark Clifton wrote and produced the song after being inspired by Focus on Mexico and Lake Chapala. Kristina Morgan added the slide show with photos of their group…all of whom are missed! A visual journey to stunning Lake Chapala, Jalisco, Mexico where the largest colony of northern expats in the world live.